Soul Care Ministries International | Christian Outreach Ministry | Soul Care Ministries International, Inc. | Soul Care Ministries International, Inc.
"Proclaiming the good news of the gospel, in word and in deed, within and beyond the four walls of the church!" Christian Ministry must transcend the pulpit and four walls of the church building to reach out to communities where people live, work, play, are institutionalized and where students go to school. God’s vision for the universal Church (body of Christ) and Christian ministry is the same today as it was for the early church in the book of Acts. In Acts 2, the day of Pentecost, the disciples did not stay in the upper room after the Holy Spirit fell upon them. They went out and began to preach the gospel of Christ and minister to people of all nations. That means that the early church of Acts was “a church without walls”. God never gave them a chance to build four walls. Church is not a building. We, Christians, are the church…the ‘body of Christ’… the “ecclesia“…the ‘called out ones’ (cf. 1 Peter 2:9-10). Laboring and prospering with the Lord comes only when the Lord builds the ministry (cf. Psalm 27:1). 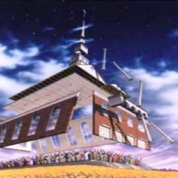 This is depicted in the featured image by Artist, Leonard Freeman entitled “Lord Build This House“. The word ‘ministry’ comes from the Greek ‘diakoneo’, meaning ‘to serve’. Lovingly serving the needs of our neighbor with humility and devotion to God epitomizes Christian ministry. In the New Testament, ministry of the gospel is descriptive of service to God in the Name of Jesus, the Christ. Jesus provided the ultimate example and pattern for ministry – He came not to receive service, but to give it (cf. Matthew 20:20, Mark 10:45 and John 13:1-17). Christian ministry is not limited to those in vocational ministry (i.e. apostle, prophet, evangelist, pastor, and teacher). It is the duty of every Christian to serve one another with love, humility and joy. Ministry is not just a vocation, but a lifestyle, which can be followed in any calling (cf. Romans 12:20:26, Galatians 1:10 and Colossians 4:12). We worship God through our obedience to Him in every area of life, every day of our lives, not forsaking the gathering together of ourselves and exhorting one another (cf. Hebrews 10:25). Evangelize through ministry of the life-changing, edifying, healing, empowering and liberating proclamation of the Good News of the Gospel (Mark 16:15-16). Ministry of the Gospel (Proclaiming the Good News of the Gospel of Jesus Christ in word and in deed). Our specialty is ‘care of souls’ (a/k/a soul care ministry). We are here to come alongside and serve you out of devotion to Christ and our impartial and unconditional love for others (both believers and non-believers). Contact us and let us know how we can come alongside and serve you.